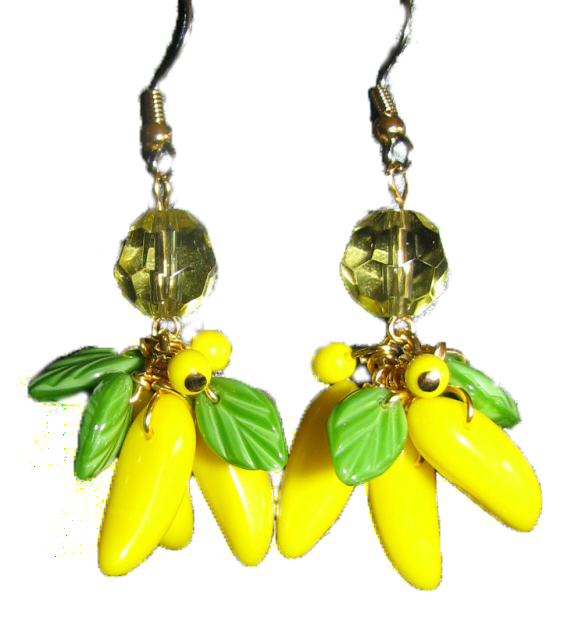 Julia Bristow Banana Earrings! Bunches of glass bananas, leaves and yellow round beads on each fruit earring, gold plated findings, and one gold-filled tag signed Julia Bristow, surgical steel posts with gold plated ball. Each measures 2-1/4 inches from top of ear wire to bottom of fruit.